Interested in trying a new yoga spot in New York City? You're in luck: we've found a lineup of places to fill the bill. Here are the newest places to check out the next time you're searching for a place to practice yoga in the city. B MVMNT is a yoga spot from celebrity trainer Bizzie Gold. 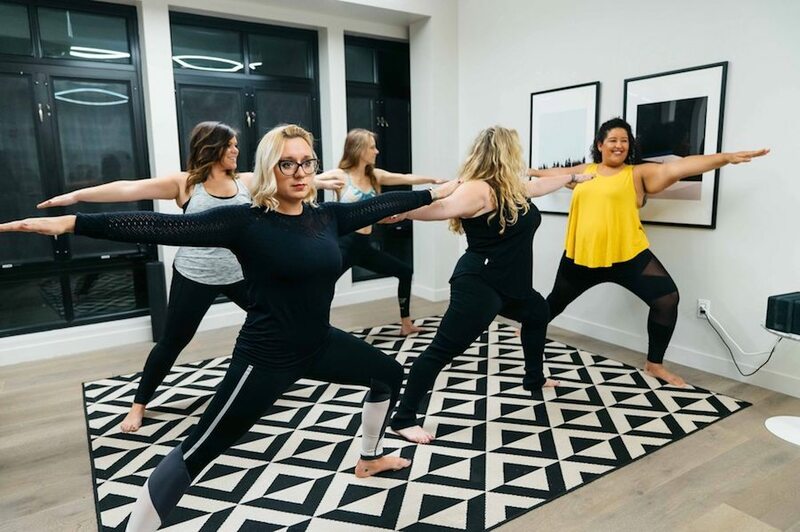 The classes are built on buti yoga, a technique developed by Gold that incorporates music and movement along with strength training and traditional yoga moves. The studio also features an infrared sauna -- in which the body is heated directly through infrared rays instead of by hot air surrounding it -- and a lounge with Wi-Fi provides a space to hang out before and after classes. B MVMNT is off to a promising start with a current Yelp rating of 4.5 stars out of four reviews. Yelper Bianca V., who reviewed the fitness studio on May 30, wrote, "Great studio; exceeded my expectations. The owners and staff were super personable. Studio is rather large; changing room was a legit lounge. There's a gorgeous backyard with Wi-Fi." Zulay A. noted, "I went to check the studio out and really enjoyed the ambiance and the vibes. The class was ridiculously good; it took me out of my comfort zone." B MVMNT is open from 6:30 a.m.-9:30 p.m. on weekdays and 8:30 a.m.-5 p.m. on weekends. Jewel City Yoga is located in the Boerum Hill neighborhood and has a second studio in Crown Heights. Classes are primarily vinyasa flow yoga, including slow styles focused on alignment or on your core. Varieties of the more demanding ashtanga yoga, which build strength and tone the body, are also offered, along with foundational classes for newcomers. The first weekday class typically starts at 7 a.m., and you can rent a mat on-site. Jewel City Yoga has received one five-star review on Yelp. 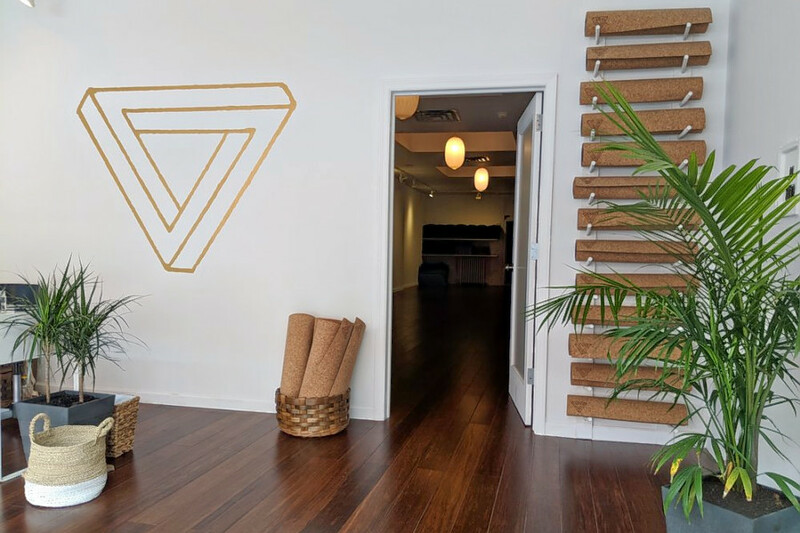 Yelper Brandy G., who reviewed the studio on June 22, wrote, "The moment I stepped inside, I felt at ease and transported into a zen state. The studio is huge and pristine, and the classes are never crowded. Best of all, the teachers are some of the best in the city, delivering challenging sequences that are both energizing and relaxing. And if all that wasn't enough, the prices are surprisingly low." Jewel City Yoga is open from 7 a.m.-9 p.m. on weekdays, 8:30 a.m.-6:30 p.m. on Saturday and 9 a.m.-8 p.m. on Sunday. The Happie House is a studio offering classes in hatha, vinyasa, restorative yoga and yin yoga. There is nutritional counseling from Happie House founder and dietitian Lisa Samuels, who offers members education and support for improving their diet and lifestyle habits. It's also a social club offering lectures and workshops on topics such as meditation. The Happie House has been getting a positive response with a Yelp rating of 4.5 stars out of three reviews. Yelper Jackie C., who visited the yoga spot on June 21, wrote, "Literally the best yoga studio I've been to. I got there three minutes late and most yoga teachers would typically not let me in, but here, the yoga instructors are so different, they're welcoming and understanding." Yelper Allison G. wrote, "Had a great experience at a Slow Flow class. The teacher really helped adjust my movements and poses. Plus, because it was a smaller class, she really personalized to the goals and needs of the students." The Happie House is open from 8:30-11 a.m. and 5-9 p.m. on Monday, 8:30-11 a.m. and 3-7:30 p.m. on Tuesday and Thursday, 6:30-11 a.m. and 5-9 p.m. on Wednesday, 8:30-11 a.m. and 2-7:30 p.m. on Friday, 7:30 a.m.-2 p.m. on Saturday, and 9 a.m.-3:30 p.m. on Sunday. Music Box Fitness offers pilates, yoga and Zumba classes in a newly renovated studio. There are pilates mat, barre, fit ball and foam roller options. Instructors lead classes in vinyasa and hatha yoga styles. Clients can buy packets of class passes or opt for unlimited classes with one-, three- or six-month memberships. Music Box Fitness has received one five-star review on Yelp. Yelper Peter H. wrote, "Our kids take dance and music lessons at Music Box and they really enjoy them. Glad they've started pilates and yoga classes as well. Great and very friendly management and staff working there." Music Box Fitness is open from 7 a.m.-9 p.m. daily.